Apple CEO Tim Cook isn't ready to confirm longstanding rumors that the company is designing a car, but he didn't exactly deny it, either, in an interview with Fortune. 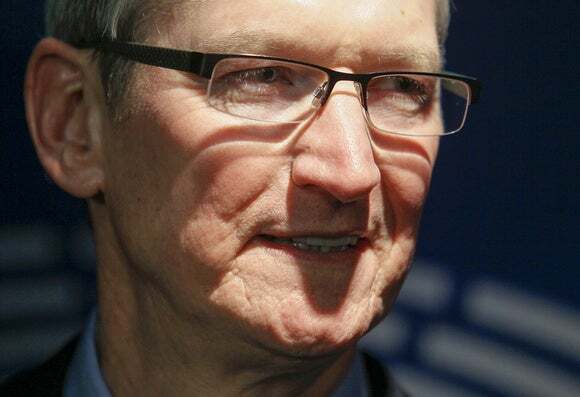 Asked about Apple's plans to build a car, Cook talked about the company's interest in many products and technologies. "The great thing about being here is we’re curious people," he told Fortune. "And we’re always thinking about ways that Apple can make great products that people love, that help them in some way." However, Apple doesn't "go into very many categories," Cook added in a rare media interview. "We edit very much. We talk about a lot of things and do fewer." The Fortune interview with Cook doesn't address the company's court fight with the FBI over a locked iPhone owned by one of deceased mass shooters in the San Bernardino, California, attack in December. A magistrate judge's order requiring Apple to assist the FBI came just days after the interview. Apple's so-called Project Titan auto design project was rumored to began in late 2014. The project reportedly hit some snags early this year with a hiring freeze and the departure of longtime Apple engineer Steve Zadesky, who was reported to be leading the auto team. Fortune asked Cook if the company can afford to spend large amounts of money on projects that never are commercialized. When the company starts spending large amounts of money, it's committed to a product, Cook answered. "Part of exploring technologies and picking the right one is becoming so familiar with it you can see ways that it can be used," he added. "And for us, we’ve never been about being first. We’ve been about being best." "Then over time it became clear that specializing would probably be a better way to go from the supply-chain point of view," he said. "I don’t think that there’s a fundamental reason why that couldn’t be done" with cars.